Best Car Polish: quit chasing your tail and just read! The Expert is here to help! "Darren, I just want shiny paint! Everyone claims to have the best car polish but I feel like I am chasing my tail from one opinion to the next. I just want products that are simple to use and deliver great results!" Your quest for the best automotive polish will likely drive most of you mad! You don't have to be a fanatic to want a show car finish! I think most people appreciate a car that is more shiny, not less shiny. Chances are you already have a garage shelf full of different car polishes; most of which probably claimed to be "the best car polish" when you bought them. Yet there they sit, collecting dust on your garage shelf, and here you are looking for something different. "Everyone claims to have the best car polish. The problem is that many of the people telling you what the best car polish is don't even know the difference between a good polish and a superior polish!" Same technology in formulation as the Ceram-X. While this product can be used in direct sunlight like the Ceram-X, due to the ultra-refined formulation, it is recommended you use on shaded surfaces. Darren's Tips: The CSI polishes are truly unique in that the base formulation was designed to be a Single Product Polish system. This means you can have a single product that can go from 800 grit sanding marks down to a swirl free finish all by the use of a single polish (Ceram-X) and the use of only 2 polishing pads (wool pad to do the initial cutting and removing of the sanding marks, and a foam pad to remove any holograms/swirl marks induced by the wool pad). For people with a hyper critical eye, the D1 Polish Enhancer was then developed for an even higher level of polishing perfection that is ideal for the true perfectionist and when polishing on dark colored paints. Both polishes share the same basic formulation with the most significant difference between the two polishes being the abrasive size. The D1 Polish Enhancer has abrasives that are 10x smaller than that of the Ceram-X Polish. For those of you new to my site can become an educated consumer and see why I have come to rely on this polish for the past 15 years. ClearCoat Solutions Inc. (Also known as CSI) was the first company to develop what is called a single-step polish; or more precisely: Single Product Polishing (SPP). This single product system was originally developed over 20 years ago and has gone through various refinement phases. Like every other industry, CSI has continued to evolve as better manufacturing processes and more refined raw materials have become available. CSI has continued to refine it's products with all the latest in technology and chemical engineering to maintain its position as the superior choice and what I professionally consider as the best car polish. And in case you have taken note; this means that CSI polishes are not going to be your choice when it comes to cheap. Superior ingredients, cutting edge technology, and superior products are not cheap to produce and are not cheap to sell. CSI breaks the rules with their single product polishing system (SPP). This ultra-simple (KIS: Keep It Simple) approach means a single polish can be used to remove sanding marks, create a blemish free surface, and produce a shine for what the industry considers a deliverable finish to the painted surface. (For the sake of comparison; Ceram-X can remove sanding marks as aggressive as 600 grit sanding marks. No other single product polish on the market can stand up to that claim). This single product polishing system is due to formulating with more refined raw materials that make for a superior polish that maintains a very tight and consistent abrasive formulation. Unlike every other company producing automotive polishes and compounds, CSI is not trying to bury you with endless grades of polishes and compounds, but keeps it ultra simple with a single product polishing system. 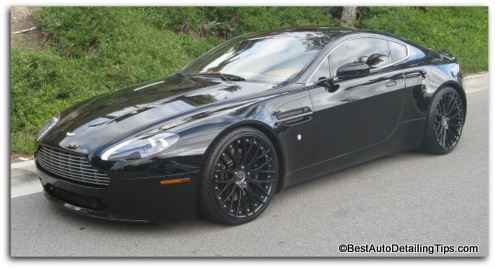 The car polishing world has been using diminishing abrasives since the beginning of time. 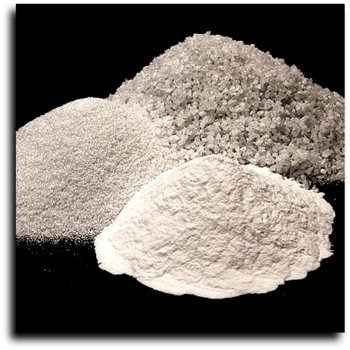 As a rule, either aluminum oxide or diatomaceous earth was used as the abrasives in rubbing compounds and polishes. As car enthusiasts, detailers, and body shop owners we accepted diminishing abrasive technology as both the accepted and standardized rule when it came to polishes and compounds. And of course, every company currently has their own version of what they call their best car polish using one of these base abrasives (of course best car polish to all these other companies really means a whole spectrum of best car polishes since they are in the business to sell you more polishes, not less polishes). CSI does not use the standardized rule of diminishing abrasive technology, but formulates using what is now known as Controlled Abrasive Technology (CAT). Virtually every compound/polish manufacturer uses aluminum oxide as their abrasive material that is then suspended in some type of "carrier". The carrier is essentially the liquid part of the car polish that the aluminum oxide particles are "floating" within. 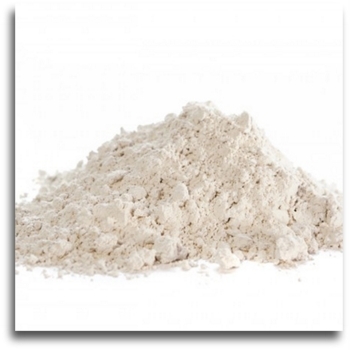 Diatomaceous earth was also a common form of abrasive used within car polishes and compounds but has since ceased to be. And like every other area of life; not all things are created equal. Since most of us accept that we get what we pay for; the more you pay for something the more you get. CSI uses a very refined and size-specifc aluminum-oxide abrasive that costs dramatically more than what other inferior polishes do. Which is also why most compounds/polishes must have multiple products in their line up, or formulate their products with fillers to compensate for the use of inferior abrasive technology. Despite how cynical you might be as a person, nano technology is very relevant within the world of automotive polishes as well as virtually every other industry. Now science has the ability to create, engineer, and manufacture at the nano scale. What this means to you and me is that when it comes to formulating the best car polish, if the right chemist and formulators have the knowledge, they can produce car polishes that are far superior to polishes of the past. Nano technology in very simple terms is the ability to work with materials at a much smaller scale than what was possible before (nano-scale is the ability to work at the level of a nano-meter). From finer raw materials to final end products, we as car enthusiasts, professional detailers, or body shop polishers get to enjoy the benefits of better products that are both easier to use and produce better results. "Most of you will become your own worst enemy; seduced by one car polish after another, dressed up in slick packaging and marketing. As guys obsessed with shine, we can't help ourselves." But at the end of the day you gotta make a choice. My goal has to been to make a compelling argument as to why I think the Ceram-X is what I not only consider the best car polish, but my "sure thing"! If you want to simply try what I consider the winning balance of the best automotive polish than use the link towards the top of the page. If you are looking to set yourself up with a more complete system from CSI, then this kit will help you get your feet wet. This polishing kit is intended for use with a rotary polisher due to the specific backing plate. Just know that Ceram-X can be used with any polishing pad, any type of buffer. Darren's Tips: WHile this kit contains what I consider the best car polish (Ceram-X and D1 Enhancer) it is a polishing kit designed for use with a rotary polisher. If you are shopping for the best car polish and are using a dual-action/random orbital car polisher, then simply buy the individual bottles of polish above and you can use with any pad choice on whichever polisher you already won. 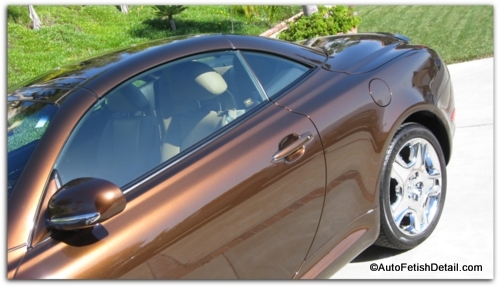 The world of paint and body, paint correction, paint polishing is a massive spectrum of skill sets and requirements. The Cerma-X that was first introduced on this page is meant as a single polish product to handle the needs of 99.9% of any job, any situation, with any polishing technician. And the reality is that Ceram-X can produce what can be referred to as truly hi-definition, or 4K resolution in clarity. Due to the vast spectrum of technicians and requirements, the founder/formulator of Ceram-X also knows that there are situations and individuals where enough never is enough no matter how good the best car polish is. He also understood that some people who have been in the industry long enough have a highly developed eye for perfection that can actually appreciate a higher level of gloss and shine and perfection. A level that would be indiscernible by most of the world. But for the few times, and for the few people who demand an 8K resolution level of performance, CSI also includes the D1 Polish Enhancer. While this highly refined polished can be used independently of the Ceram-X, is was formulated to be used as a follow-up to Ceram-X for the true perfectionists who exist among us. Formulated with the same nano-emulsified technology of Ceram-X, but with Controlled Abrasive Technology that is 10x smaller than Ceram-X. While Ceram-X can be used in direct sunlight, on hot paint, the ultra-refined abrasives in the D1 Polish Enhancer will perform more ideally when used on cool, shaded paint. No heavy solvents and no fillers like traditional compounds/polishes of other manufacturer's. For optimum results, it is recommended to use D1 Polish Enhancer with a closed cell foam polishing pad. Part of the best car polish system of the ClearCoat Solutions system! "You can sit and read endless reviews and still not be any closer to polishing your car than you are now. Understand that if you want your paint to look better than it currently is, polishing is your only option. Now I have shown you my winning combination as well as what I consider the best car polish. Period!" Now that you have polished your car, the next step will be for a top rated car wax. Before you use any of the polishes/compound, it is critical to start by decontaminating your car paint first, and I mean FIRST! There's not an area of life these days that has not been dramatically improved through the advances of technology, manufacturing, and chemical engineering. Now my choice as the top rated car polish that I can say with complete confidence as the best car polish is as easy as a couple clicks away. Now you can get the performance of Ceram-X delivered right to your door! The world of surface car care is no exception!